For the past few months, Cassie Sullivan has had to endure a visit from aliens called the Others, who are intent on wiping out the population of the Earth, to claim it for themselves. She has had to overcome the plagues and tsunamis that the Others have pushed onto the Earth, and has had to watch over 7 billion people die. Even beyond that, she has had to rescue her 6 year old brother from a training camp where the Others tricked the remaining survivors into killing other people. After all that she has had to endure, and after all the obstacles she has had to overcome, Cassie believes that there is still hope for humankind. This is the plot of the first two books in the Fifth Wave series, which the author, Rick Yancey, ties up very well in the third book of the series, The Last Star. 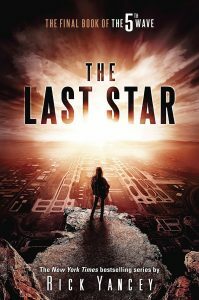 The Last Star starts out with Cassie and a small group of survivors hiding in an abandoned building deep in the wilderness. These people are looking for a way to rid the Earth of the Others, and return life to the way it was. They are also trying to avoid the Others, who are intent on hunting them down. Although they have learned many important things about the aliens throughout the series, they have just discovered something enormous. Through the other books, the Others have sent down four waves to the Earth, and the group of survivors have just found out that they are planning to unleash a fifth wave. For one character, he must go on a dangerous quest through enemy territories to save someone, and another will have to sneak into an enemy base, putting it all on the line. Cassie believes that there is still a chance to save humankind. Will she and the other survivors be able make the dangerous trek that they will have to take, and will mankind ever be the same again? 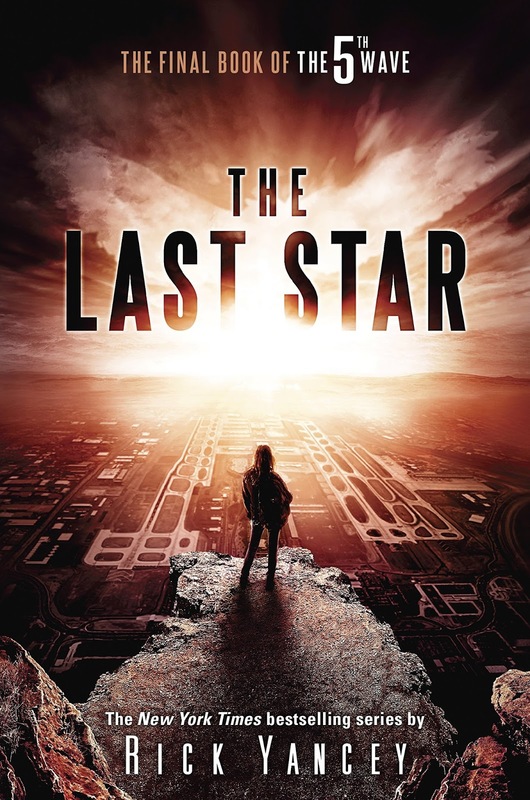 In The Last Star, Rick Yancey does a fantastic job of ending a series that has always made me want to keep reading, because of fascinating characters and intriguing plotlines, which the author has delivered all throughout the series. The setting in this book was very well developed, and made me feel as though I was really there. Backgrounds and characters in the book were very well described, which made reading the book feel very immersive. The characters in this book all felt very real, and interesting, which always convinced me to want to read more. Although many parts of this book were great, the one thing I did not like was the perspective that the book was told through. The author switched perspective between a few different characters during the book. Although it was interesting to see what a bunch of the characters were thinking, and the author always kept the story in first person perspective, it could become quite confusing at times. I would often be confused at who was talking, which made some parts of the book a little unclear.Rick Yancey was incredibly descriptive in his writing, which really drew me into the book and ended the story in a clear way. He also did an exceptional job of building suspense all the way throughout the book, by dropping hints at major points in the plot that were yet to come. This book was thoroughly enjoyable, from start to finish. I would recommend this novel to readers that enjoy science fiction books, and also people that enjoy a suspenseful, intriguing book.